Yardscapes Northwest specializes in concrete masonry, stonework, and custom yardscape living spaces. Our award winning team works with every client to design and build the most stunning and functional outdoor living spaces. We would love to partner with you in order to transform your outdoor space into your personal backyard dream. Since 2007, Yardscapes Northwest has specialized in designing and building custom outdoor living spaces for residential homes. As a family owned masonry business, we take pride in working closely with clients in order to turn their outdoor dreams into realities. As a segment of T&R Masonry, Yardscapes Northwest proudly serves clients around the northwest and is committed to creating high quality spaces, down to the smallest detail! The greater Pacific Northwest United States. We are dedicated to honesty which means it’s the foundation for everything we do. From start to finish, we are committed to serving you and your family with hard work and ethical practices. We take the time and put in the effort to ensure that your outdoor living space is created with impeccable quality. We do not cut corners or take the easy way out. We go the extra mile to ensure that our work is done the right way the first time. We are committed to caring for you, our client. Each outdoor living space is created based on your specific needs and wants in order to make then ideal space that fits your individual lifestyle and satisfies your backyard dreams. 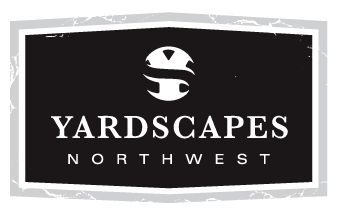 Yardscapes Northwest offers a five-year warranty on all our work. If you experience any issue substantial or minor, within this time frame, we will come out and fix it: no questions asked. Once you contract with Yardscapes Northwest you are a lifelong, valued client. You will always be treated with honesty, quality, and care. We partner with the leading manufactures in the industry so you can rest assured that your living space will last the life of your home. If you experience any substantial issue with your yardscape after five years we will come and fix it: no questions asked.